You really brought it “back home” in that post! I was a few years behind you, but I swear I can hear “Little Surfer Girl” by the Beach Boys. Is that me I see applying Sears Weather Beater Industrial Strength black mascara in the girls’ room mirror and hoping “That Boy” invites me to slow dance. That’s a great story. 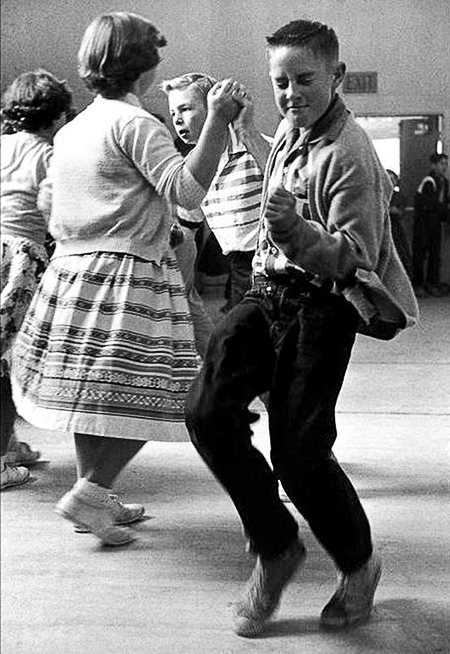 In junior high school I actually determined that I would learn to dance. And I did learn a few basic cha-cha and mambo steps. I could even do a lindy, with a couple of twirls. I could not throw my partner between my legs, though. And I don’t think I learned a single named dance other than the twist. I couldn’t Stroll around the floor, not at all. At least I had gotten ahead of the minimal square-dancing I’d learned as part of the “Savoir Faire” initiative in elementary school. (I could allemande left and do-si-do my partner, at least.) I had a brief period of vanity where I actually danced in front of a mirror to see if I was completely graceless or not. But my dancing was at least good enough to gain the attention of Joanne Beech, who, amazingly enough was a cheerleader. I was, at people say, way out of me league. After a few weeks, though, she turned to me and said she could no longer see me because I was Jewish, and it was an order from her priest. I have no idea if this was a convenient truth, a total lie, or another kind of invention. It wasn’t until later, when the rowdy “boys” lunch table I sat at was broken up, and we were disbursed individually to girls’ lunch tables, that I learned about other kinds of girls, and that Marilyn Abish, for one, told damned good dirty jokes. I”m sure she’d deny it if I ever were to come across her. Peter, this is an absolutely wonderful essay. It could appear in a top magazine like well I don’t know who does this kind of short personal thing, but anyway I have the feeling you just let it flow out without too much self-consciousness. What is good about it is that it takes people back to how they felt and the way things were like in those adolescent days. And you name all the dances, you name the very specific way the guy danced, and how you felt, and you have a little bit of humor about the girl Elizabeth and so on. So your essay is the complete package. And it’s smooth, flowing, and basically unflawed. Very, very nice! It’s the entry that you’ve written in your blog that I’ve enjoyed the most, and it had an emotional nostalgic impact. Because it’s so personal and authentic. 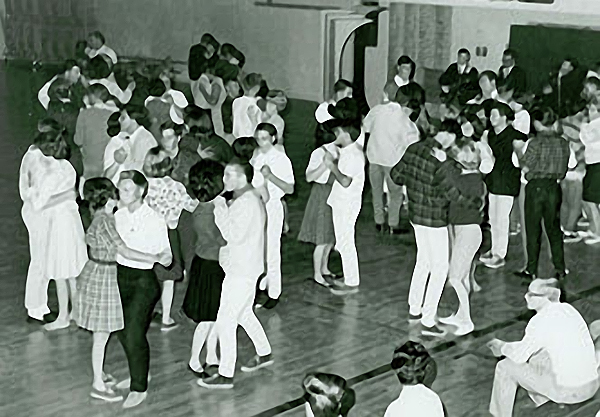 How fun to hear the names of those old dances I’d completely forgotten, and to recall the awkward mixers that predated high school house parties slow dancing to Johnny Mathis and mostly trying to avoid body contact. And I agree it’s better to remember Ron Costa in his glory. Enjoyed reading this, Peter!